If you're a fan of classic fruit-machine slots then you will adore Lucky Staxx: 40 Lines. 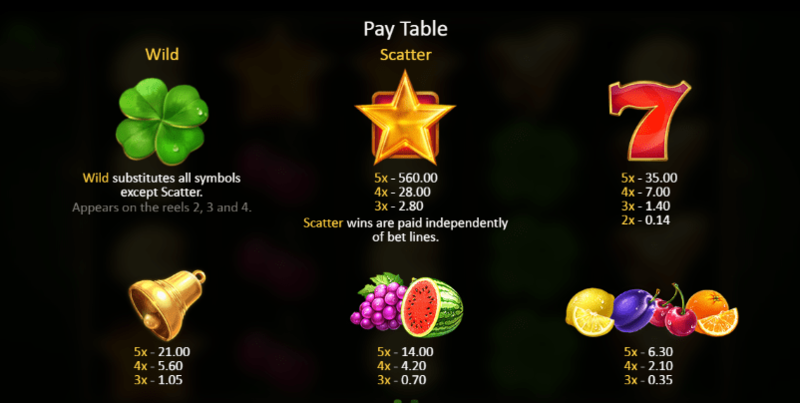 Lucky Staxx: 40 Lines is fruit-themed slot by Playon with 5 reels and 40 paylines. The design is fairly basic, however, the slotsbaby reels come to life with the vivid and colourful fruits making it one of the best online slots to play for beginners. The fruits are bursting with juicy colour which almost looks good enough to eat. Gameplay is very simple with easy features including wilds, scatters, and stacked wilds. You won't find many slots easier than Lucky Staxx: 40 Lines on S-Baby. This 5 reel, 40 payline slot by Playson has a nostalgic fruit machine theme featuring lots of delightful fruits. The design is a fruity feast for the eyes with bold colours of orange, red, green, and pink. Behind the reels, you'll see a plain green background that fades from a bright green to a deep forest green. On the reels, you'll find a bunch of fruit symbols including sweet cherries, grapes, watermelons, tangy oranges, and plums. Other symbols include lucky four-leaf clovers, golden bells, lucky red 7s, and stars. Symbols - The lowest paying symbols are the plums, cherries, oranges, and lemons. Landing 3, 4 or 5 of these will award you with 4.5x your total stake. Next are the grapes and melons. These grant you up to 10x your total stake when you land 3, 4 or 5 on a payline. These are then followed by the bell which awards 15x your total stake. The highest paying symbol is the lucky 7. This awards up to 25x your total stake. 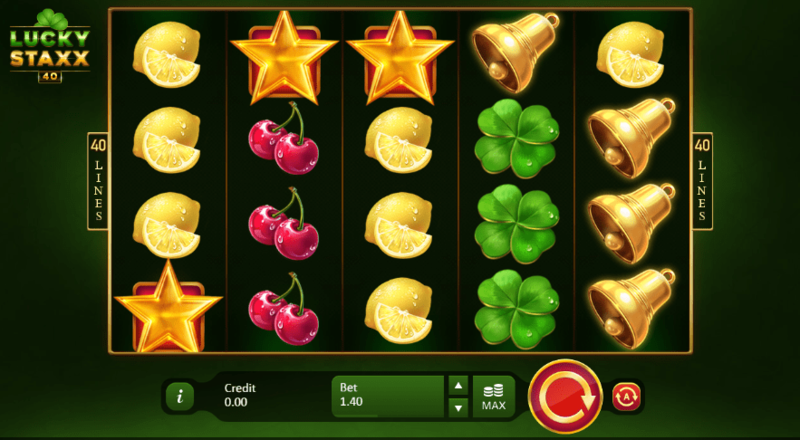 The Wild Symbol - The wild symbol in this slot is the lucky 4-leaf clover and replaces all other symbols apart from the scatter to create winning combinations. The wild will spin in full stacks and has the ability to fill the entire reel. The Scatter Symbol - The scatter symbol is the gold star. Landing 3, 4 or 5 gold stars will reward 2, 20 or 40 times your stake respectively. Lucky Staxx: 40 Lines is for all those game players out there who enjoy classic fruit machine slots and wants to play slots game online. Gameplay is straightforward with minimal features, the design is colourful, and there's lots of fruit. The most action comes from the four-leaf clover wild where the wilds spin in stacks and turn the whole reel wild. Although it's not the most entertaining slot, you could win up to a tasty 1, 000x your stake.